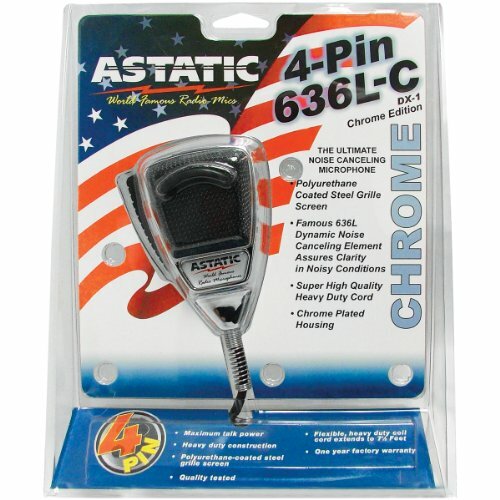 With an indestructible super flex stainless steel cord and chrome-plated housing design, this popular Astatic mike offers the crystal clear sound that has inspired 90% of truck drivers and CB users to choose the brand. Noise-canceling element eliminates wind, music and other background noise to deliver excellent performance and durability through the roughest of everyday use. If you have any questions about this product by Astatic, contact us by completing and submitting the form below. If you are looking for a specif part number, please include it with your message.